As always, ordering from Thomann?s website was easy and with Paypal convenience. The shipment took roughly 2 weeks from Germany to US/Florida (Christmas/New Year time). The shipping box was damaged but, all items in the box were in good shape, no product damage! Initial inspection was pleasing. The finish is very good on a product of this price. It is not perfect, but for this price it is better than I expected. The overall finish is smooth and nicely buffed to a high gloss. As for defects, only a few little specs in the clear, and a small blemish in the wood grain on the back of the guitar, roughly 1/2" long. Not really an issue for this price guitar, and it?s on the back. The fretboard on this guitar is the best of the 4 Harley Benton's I now have. The fingerboard doesn't appear to have any stain coating as my other guitars had. The rosewood is natural, and has nice grain, however it appears a bit dry. The block inlays are nicely cut and installed. 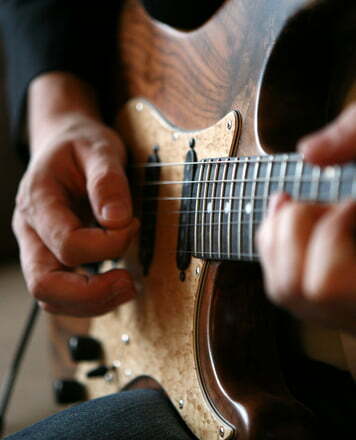 They fit smoothly to the surface of the fingerboard. The fret work on this guitar is good, but not finished. The frets appear to be raw fret wire pressed in an dressed on the ends only, but not finished beyond that point. They are clean and free of the crusty buildup my other HB's suffered from. Sighting down the neck, there appears to be no offensively high, nor low frets, and a quick chromatic run up each string resulted no serious buzzing. I should mention this was done after the action was lowered. As it arrived, the action was set very high, playable, but not ideal. I roughly lowered the bridge until some buzzing was noticeable, then raise the action ever so slightly. The neck binding is very good as well, only one small area that is a bit rough between the frets. This can easily be smoothed off, so no real issue. The strings are better than most I've received, but still not great. They don't feel rough or corroded, but lack brightness when played. I believe this inhibits the acoustic sound of the guitar out of the box. Better strings should make a noticeable difference. The tuners are closed back, smooth and uniform in function and stay in tune (so far). They all appear to be well produced and bare no branding. The pick guard - Every review I have read, seen or heard, has complained about the pick guard. I'm no different. It is poorly produced, irregularly-irregular shaped, rough-edged, makes the guitar look very cheap due to the rough unfinished appearance. Two screws and it is now off the guitar. The coil tap (split) volume pots, cut the humbucker(s) to a single coil(s). As with my HB SC450Plus, I don't think the feature is as prominent as I had hoped, but it does work. The f-holes are nicely cut and finished on this guitar, some wiring is visible through the f-hole, but of no concern. The nut appears to be the standard HB plastic cast variety. The string spacing is fine, but may require the string slots to be opened up a little. The pickups are Wilkinson covered humbuckers. The sound pretty good for stock pickups, especially at this price point. As for sound, the pickups are fine for now, plugged in the guitars sounds very good (to me). Acoustically, the guitar is a little dull, probably the stings. Remember, it is a thin semi-hollow body as well, not a full bodied acoustic. The output jack is in a location I prefer over an ES-335. The jack is placed through the wooden side. As it arrived, the jack is neatly installed and tight. 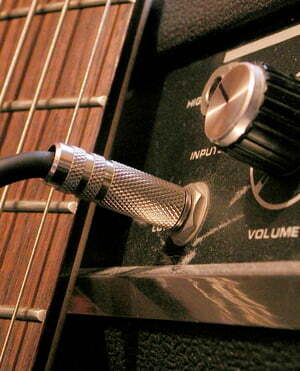 I should also mention I like the location of the 3-way switch on this guitar over the 335. If you plan to add a tremolo (think Bigsby), the location of the switch on this guitar just seems better. It won?t be under the trem bar. The strap buttons are very basic standard style, one at the end, the other on the back of the neck heel. The negatives are minor, a couple small spots in the finish, and a little rough spot on the neck binding in one area as well. The frets are good, but need to be finished. It's playable, but could easily be much better. The controls, pickups and tuners all work well, and for the price are quite nice. This is the best finished Harley Benton I've purchased, it is also the most expensive Harley Benton I've purchased. What really needs to be done to this guitar? Finish crown and polish the frets, possibly adjust the neck relief, put on some new strings and check/set the intonation. And, I might prefer a better 3-way switch. The stock switch works, but feels a little cheap. Of course, this guitar can be played without any of these changes. I'm giving it 5 stars because the few blemishes are of no concern on a guitar of this price. The frets aren't finished, but can easily be finished. Overall the total value of the guitar is greater than what it cost. A numerical rating would be 8/10, but the star scale it gets 5/5 for having everything, with minor finishing touches needed. Please remember, this guitar costs just under $200, it's not $400, $500, $1000 or more. If you expect a $1000 guitar quality, then buy a $1500 guitar. Yep, you read that right. With a little finishing, this is easily a $400 guitar, or more. I received my HB35Plus VB last week and was amazed at how good this is for 218 Euro. This was a birthday treat and I had promised myself an Epiphone ES 339 VS. I went into town a few days before buying this HB35Plus to test the ES 339 and was a little disappointed with it. The finish wasn't that good and there looked to be a growing crack where the neck meets the body. So I decided to think about it some more and subsequently decided to go for the slightly larger bodied HB35 Plus from Thomann who I had bought from before. I am so glad I did. I was prepared for it not being perfect out of the box, given some of the picky negatives we see about these. But I was so pleasantly surprised when it arrived. The figured top is beautiful, the sunburst is well sprayed on the front, back, and sides, there's no weeping into the cream binding - which is perfect by the way, even around the f holes. The neck is just perfect for my fretting hand and on the subject of frets, having made a guitar or two in my time, I can say that these are very well placed and finished both on the fret and on the bevelled edges. The inlays are attractive (as they should be - block is the easiest to inlay), the decals on the headstock are central and the generic tuning pegs seem sturdy and able to hold their position well. The HB35 could have been played straight out of the box after a little bit of string tuning, but I prefer a lower action so I adjusted it to suit me. Now I have what I would call a perfect guitar. The Roswell humbuckers combined with the 3-way pickup selector, the 2 tone control, and the push/pull coil split volume controls, work perfectly with my Vox AC30 and provide all the combinations I'm ever likely to need at the level I play. Crikey, even the pick guard is reasonably well cut on mine. Overall, I cannot fault this guitar. There's so much more here than the price point would suggest and I would wholeheartedly recommend this to anyone. I would also recommend Thomann. I ordered this late on Friday and it was delivered to my home the following Wednesday. This is the same excellent service I'd received when I bought my Epiphone EJ 200 CE from them. ID: 374857 © 1996–2019 Thomann GmbH Thomann loves you, because you rock!